Pete: Hello, everybody, and welcome to "Taking Control: The ADHD Podcast" on rashpixel.fm. I am Pete Wright, and that there is a freshly vacated and relaxed Nikki Kinzer. Pete: You've got a post-vacation glow. Nikki: I got some sand. I got some sun in Arizona, where there's like rocks. Not a lot of sand, just a lot of rocks. But yeah, it was great. It was beautiful. Pete: I've got a buddy in another podcast, but he works down there, and he tells me things out of the blue. He says things like, "Yeah, I'll be running a little bit late. I have to vacuum my lawn." But it is not a lawn because it's rocks and he has to...Yeah. That's a thing I don't do. Nikki: No. And the lawn there is fake. If you do see any lawn, it's fake. Pete: It's just a whole different way of living, and I'm deeply unaccustomed to. Nikki: And now I'm back in Oregon where it's cloudy, so I'm hoping spring comes quickly. Pete: Yes. We're here. I mean, this week was gorgeous. It was short-sleeve weather, and so we're here. Pete: It's been too long. Before we do that, head over to takecontroladhd.com. You can get to know us a little bit better. You can listen to the show right there on the website or subscribe to our mailing list, and we'll send you an email each time a new episode is released. And, you know, I don't talk about this. You also can find the show in any of the big podcast directories. Were pretty much everywhere, and there are some new ones that are always popping up. So, I think the newest one that I'm starting to see show up in our analytics is RadioPublic, which is a lovely little podcast app. And that is one that actually does support us monetarily. So, I wanna say that up front. When you listen to it, they just run house ads, their own ads in the feed, so between shows. So you'll listen to the show, and then you'll hear a RadioPublic ad, a short ad, and then you'll hear another show. And if you listen to that ad, that sends us like two cents. Nikki: Two cents? That's awesome. Pete: I have mixed feelings about it. But one of the things I like is the people behind it are our quality people, and they love podcasting. And this was an app that was purchased by kind of a consortium of the podcast networks, and I think they're working hard to do good things. So, if you are looking for a podcast app, if you're not deep into iTunes or Spotify, you know, check out RadioPublic. It's a fine little app, and it does, you know, disclosure, support the show monetarily, directly. So, that's it. You can also connect with us on Twitter or Facebook @takecontroladhd. We start out with a question...the first question is from Jennifer, and Jennifer writes us, she says, "Great podcast on students and studying. I have another question along the same lines. Any advice on taking standardized tests, specifically the Praxis for teachers? It isn't the same as having a class on one subject with one book, and one professor, and one studying guide. Thanks." Do you know anything about the Praxis exam? Nikki: I know nothing. And I feel bad because I would love to be a resource for her, but I am not one. I don't know. I don't know what it is. I don't know...I just don't know. Pete: So, the Praxis tests, it measures teacher-candidates knowledge and skills. That's what the Praxis is. So, you'll take a subject assessment if you want to become a teacher. If you wanna be a social studies teacher, you'll take, you know, a Praxis exam in social studies. Pete: Exactly. And, you know, there's a Praxis core, that is, you know, how well do you know the skills for, like, math, and reading, and writing? And, you know, they are comprehensive assessments, right, for skills and presentation for teachers and prep for teachers. And so, I would say, I know of the exam, I know as a spouse of somebody who is working in the schools that I know what they are, but our focus generally here is pretty much on the student experience. But I would say, from a standardized testing perspective, anything when we're talking about standardized tests, you know, the same rules apply, right? Because it's not about the content that you're taking the test on, it's the way your brain works when approached by standardized testing environment. And so, you know, I think all of the same kind of rules of the road apply that you would when you're prepping for the SAT, or the ACT, or the GRE, or GMAT, whatever it is. Nikki: For example, I had a student that I was working with who was...well, actually she was applying for law school, so it was just a test that she was, you know, prepping for. And I know that she had different resources that she did go to and read, and listen to, and watch, you know, to help her prepare for the LSAT. So, I don't know if that is available. And that's probably what I would look into is, is there, you know, specific resources to help you prep for these things? I just don't know. Pete: Yeah, I know. We're not great resources for that, but at least, yeah, I'm sorry, but I just wanted to get that out there. And thank you so much, Jennifer, for writing. We really appreciate it and glad to have teachers listening. More teachers should listen because we create a better-informed classroom. Pete: We deeply appreciate teachers and what they do. So, that's the first one. The second one is from Robert. So, this is first half of the question from Robert. And Robert says, "Anyway on the last podcast, ADHD student have favorite strategies, you go over various techniques. One, which was taught to me in junior high school, was SQ3R, which is what I believe you were alluding to. I'm curious why you didn't outright say that acronym, i.e., is that way too much for us, ADD'iers, and what you're suggesting is a scaled down version?" I'm gonna say no to all of the above. It was not our intention to leave anything out. In fact, I just don't think SQ3R is maybe as widely a known acronym as you might think it is. In fact, I had heard it, but I asked around, and nobody that I asked in my little neighborhood group had ever heard of SQ3R. Pete: You've never heard of it? Pete: Yeah. There's no allusion. Nikki: I had to look it up and see what it was. And just so people out there that don't know what it is, it's basically five steps to helping you comprehend what you're reading. The first one is survey, second is question, third is read, four is recite, and five is review. So, I think that the similarities are that he says or seen, excuse me, is, you know, the survey was me talking about going through the chapter and skimming it first, right? Looking at the headline, looking at the bold and italics, you know, what's screaming out at you? And then the step number two is that questions at the end. You know, what questions are being asked? What are the key points to the chapter? So, I think it's very similar to what I was talking about, and this sounds like a great method, but it was not anything that I was alluding to. Pete: Well, and interestingly, I think, as I talked to my kids about it, my kids who are through Junior High School, for the most part, and one almost through high school, they've have never heard of it. And that's mostly because I think the state curriculum here at least has moved on from that approach, and they're deeply invested in Cornell notes, which has a similar sort of set of an approach to how you approach information and structuring information around, you know, digesting textbooks, and digesting lectures, and how you process it on paper. And so, they've kind of moved on, and they started Cornell notes in sixth grade. And so, this acronym is...you know, they've moved on to new acronyms, right? And so, you know, it's just another approach. The next question he has is gonna lead us right into our main topic. So, before we dig into that, I want to tell you that this podcast is brought to you by you, listeners of "The ADHD Podcast," and, most specifically, listeners who've decided to visit patreon.com/adhdpodcast and support us with your hard earned dollars. What you get in return, you get more of this show. You're fueling the long term production of "The ADHD Podcast" to act, hopefully, as a resource to those who are living with ADHD for the rest of their lives. We have big ambitions. But you also get to join the ADHD Discord chat server. We have chat channel rooms for all kinds of wonderful topics from medication to just ADHD support and accountability. And the community brought about live study halls and book groups, and it has just become an incredible resource and a source of great joy. Nikki: So, this was another question from Robert. He had asked why I hadn't mentioned the use of a mind map. And he asked this because he was not sure if he was using the mind map correctly, an example taking notes on everything and my branches tend...or he's taking notes on everything, and his branches tend to have paragraphs and aren't well organized. "I'd love it if you guys could talk about this aspect of my maps on the show." First of all, I agree, Robert, this is a great strategy, and there wasn't really any specific reason why I didn't put it into the strategies before. It's just that, you know, due to time, I was like, "Okay, I'm gonna pick my favorite ones." But this is also a really great one. It's so great that it actually deserves its own show. Pete: It does deserve its own show. And I think he has a great point. And I think that's part of the sort of commentary that we ended up with, you know, in the Discord group, which was about, "Am I doing this right? Am I approaching mind maps right?" And I think it merits going back a little bit to, you know, the conversations that we've had in part on this show about, why mind maps? What's a mind map all about? How does it actually help you? Nikki: So, I think it'd be great for us to start with what the definition of what mind mapping is. It is a way to organize your ideas, your thoughts, get them out of your head and onto some kind of visual diagram. It's a very nonlinear way of getting to the point of, you know, basically brainstorming, which is ADHD-friendly, right? Because a lot of people don't think of things linear. They don't want to just have a list of things, they wanna be able to branch out. So, mind mapping is great for that. It's great for starting a new project because, again, it can give you that space to just brainstorm and think about things, breaking projects down into smaller steps, prioritizing, you know, what's most important to what's not important, or not as important. Now, because we're a podcast, I thought that I would give you more of a visual of what a mind map is, and I'm sure you'll put something in the show notes, too, that will show it. But if you think of a tree, and then you think okay, so the tree is the main idea or the title of the project, and then you've got these little branches that are coming out of the tree, and then you got these little twigs that are coming out of the branch. Pete: And off of that node, I have six different branches that take us into new areas. So, now, this is I know not the same as the example you wanted to talk to, but at least you can see, as you're talking, how the branches, and twigs, and figs, and berries work. Nikki: Well, because some people would say that the tree the brain, and then you've got the little branches coming out of that. I mean, there's a lot of different ways you can do it. Pete: It's like a neuron, right? It's a neuron in the brain. Nikki: So, just to kind of also take that example a little bit further. I'm gonna use the project of organizing your home as the tree, right, or as the brain. So, that's the general category is, I'm gonna be organizing my home. A branch would be organizing the kitchen because that's kind of a subcategory, that's one specific area of organizing my home, and then a twig could be organizing the pantry, and then another twig could be purge, pots and pans. So, you see how I'm breaking down organizing home to organizing kitchen to pantry and to pots and pans. So, I'm hoping that that kind of gives people a visual of how that might work. Pete: It's one of those things that I think is incredibly useful for organizing information the way the brain works. And that's really important. When you start with this nodal idea, it is...we talked about how it reminds you of a neuron. You want to attach to the brain the way the brain is going to store information. And the brain does not remember paragraphs. The brain absolutely does not remember entire long strings of words that are tied together. The brain remembers images, it remembers sense information, it remembers smells and sounds or sounds-like information, and it absolutely remembers pictures. And, in fact, there's a wonderful study that I stumbled on this morning when talking about respondents who were asked to look at over 2,000 pictures for 10 seconds each. So, it takes three days for these respondents to look at all of these photos, one after another, after another, after another. And at the end, they're given a side by side comparison, one, a picture that they had seen in this, you know, experiment, and one was a photo that they had never seen. So, they're looking over 2,000 photos, and they have to now discern after only seeing the picture for 10 seconds, have I seen that before or have I not? And the response rate was incredible. Eighty-five percent to 90% success rate for individuals picking the right picture each time. So, the researcher said, "Hey, we're doing this wrong, definitely. So, we're going to reduce the time on each photo to one second." So, you were looking at 2,000 photos for one second each and then you're asked to compare, side by side, one you have seen, one you haven't, which ones right? Same results. The brain lives and works in images. That's how we process information. It is so critically important that you engage that side of your brain, that side of your sort of creative output, and that's what a mind map does. So, you both have a visual like an image of information that's the mind map. And within the mind map, you can use images, you can sketch, you can draw little figures, right? Those things help you remember more clearly. Nikki: Which is really one of the reasons that it's so ADHD-friendly, right? 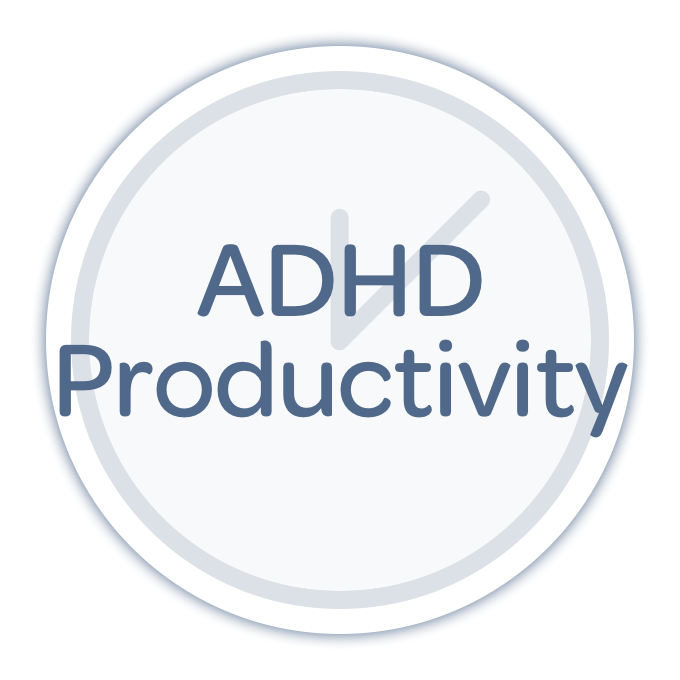 Because if you're connecting why this is an ADHD-friendly strategy, that is definitely one of the reasons is the visual component of it, the nonlinear component of it. And I do think it stimulates that creativity, right? Like you said, it's open to whatever you want it to be, you know, whether it's a symbol or whatever. So, it engages you in breaking the project down. 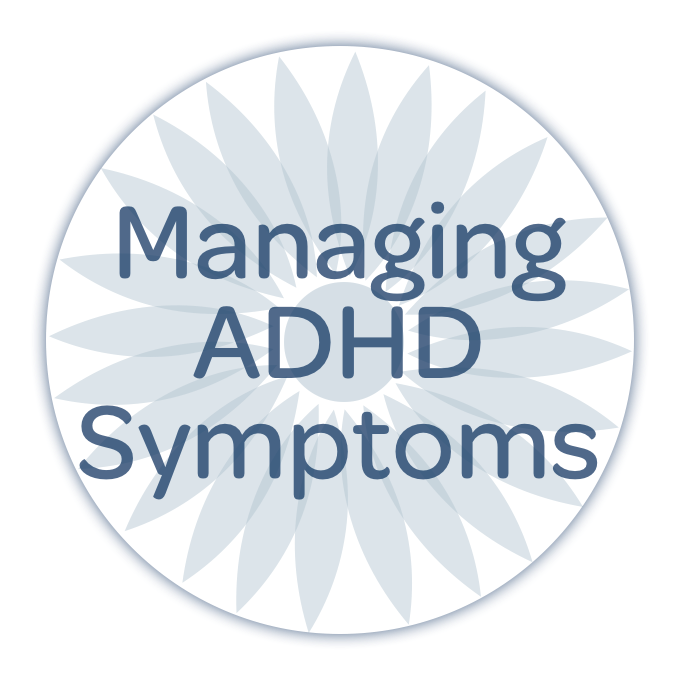 And if we look at...with ADHD, if you're not engaged in something, it's not gonna be as interesting, and it'll be easier to avoid. So, if this gives you some kind of way to engage yourself and make it a little bit more interesting, that's a really positive thing, much more fun to do. Pete: You know, I'll tell you it's really funny. You talk about that creative approach. Here's another study. Children were asked to look at a photo of some paper clips. And I'll tell you, I found this in Tony Buzan's TED talk that was fairly recent. And Tony Buzan is the guy who founded or who kind of...he's the inventor, so to speak, of mind mapping, right? He's a British psychologist, and he says, you know, these kids were asked to come up with four, sorry not four. These kids were asked to come up with creative things you could do with and then show a picture. And so, in these pictures, say paperclips, and it's a little stack of some paper clips. And he would show the page of responses in list form, right? So, the kids were just asked to make a list of the things you could do with paper clips, and there were like four lines of things you could do with paper clips. And then they teach the kids how to mind map, and say, "Here's a picture of another thing, give me a creative idea of ways you could use a rubber band." And he shows the mind map, and it's explosive, right? It is just connection, after connection, after connection of things you can do with a rubber band, 22 new creative ideas in the same context, same experiment, same kids, right? I mean, this is just same age group of kids, not obviously the same specific children. This is what he calls radiant thinking, right? The brain works in images. It works in connections, right? An idea connected to an idea connected to an idea, a word connected to a word or phrase connected to a word or phrase. And that, again, helps you retain and integrate information into your body of knowledge. Fascinating, right? I mean, it's just fascinating. Nikki: It is fascinating. And it really makes the case of why this is important, you know, in all aspects because that's the thing is you can do mind mapping in any kind for any reason, right? You can do it for education. You can do it for business. You can do it for a personal life. Nikki: Whether you're podcast prepping, you know, going on a vacation, prepping. I mean, whatever it is, it's so versatile. So, I think that, you know, you're just building more of a case of why it's important, especially with the education piece of it, too. Pete: And think about it in terms, when you approach a mind map to be able to look at it and say, "Okay, this thing that I'm doing here, my objective is to make connections between new things that I'm learning and things that I already understand, right?" That's integration, that's integrative learning, and that's why a mind map can be so, so important. 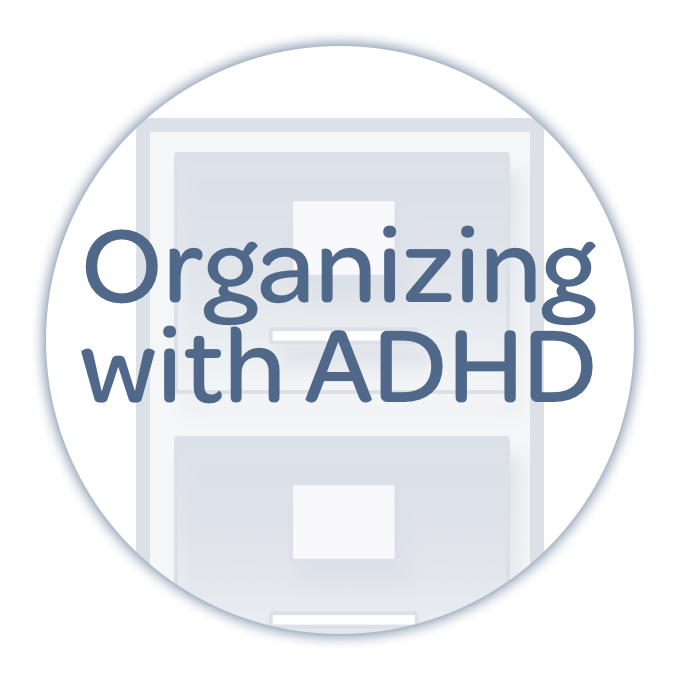 Nikki: Well, and I just wanna add one more thing on the ADHD piece of it, too, is that when you mind map, whatever it is, you're reducing that mental clutter, right? Because it's plan. It's something that's in front of you. And then you don't have to rely on your memory because, you know, one of the biggest fears is that you're gonna forget something, you're gonna forget a task, or you're gonna forget some, you know, important role that somebody has to do or whatever. So, this really does help you with that working memory and being able to put everything down on paper. So, again, just a really friendly ADHD way, I think, of planning and learning. I wanna just go over a couple of other things too as far as how it benefits people. Definitely helps you see a big picture, right? Sometimes we can't see the big picture, or sometimes we focus so much on the big picture, we don't see the small step, so, it actually makes you kind of see both. Can definitely help with clarity of your goals and action steps if you're confused. You're not really sure what it is that the end result is, this can give you that opportunity to do that. Where have you used mind mapping? Pete: Yeah. You know, I use it all the time for that kind of preparation. I actually have a massive mind map that defines or illustrates the entire network of all of my freelance activity, from client work, to creative work, to podcast, to design, to all of the stuff that I do, photography, all of the...like, where does Pete make a living? And, yeah. Nikki: I should do that. That's a great idea. Pete: I keep that as a running mind map of everything I do. And so, it always keeps me, you know, fresh, it keeps my activity fresh. So, apart from any time I'm trying to you know digest something new, whether it's a book or a...you know, I always do it for...keep a quick mind map sketch of books, important key points of books that are like nonfiction. I'm reading "Wheat Belly," right now, which is on the way wheat has changed over generations. And it's fascinating, I'm learning a ton. So I have a little mind map in, you know, in my tool of choice. Nikki: Because how many times do you read a nonfiction book, especially when, you know, it's in your iPad, right? It's a digital book. And I'll highlight, and, you know, I'll put little notes in there and stuff. But that is such a great idea because now I could actually I feel like I'm doing more with it, like, having that mind map of, "These are the key things I wanna work on. These are the key things that I wanna remember." I love that. I'm gonna that. Pete: It's really fun. And especially, you know, I love the way you can share quotes in the Kindle version of these apps because you can highlight stuff, and then you can export your highlights, right? And you can share them, and then I share them. And I can either, you know, copy and paste them or take screenshots of them and put them actually in the mind map around key things that I wanna keep up with. And so, this is stuff that I'm gonna be using to help build a life plan. I wanna be able to integrate it into my health and fitness. And so, it's important to me to be able to integrate new information. So, that's big. That's absolutely one that I do. So, I'm in mind maps every week. Nikki: Right. Well, I want to give a couple of examples of clients that I've worked with that used mind maps. One was a business owner, she was a contractor. And so, she wanted to market her business, and so we worked on creating a mind map. And hers was very simple in the sense that it wasn't...And I know you're gonna get into tools here in a second. It wasn't a program. It was basically just paper on a wall with sticky notes, and she was able to move things around as she needed to. And that's how I've used mind mapping is, when I've done launches for my online courses, I've used these big pieces of paper with sticky notes that kind of, you know, branch out and everything. But yeah, she had the different pieces of marketing and how she was going to do it, who she was going to contact, all this different stuff. Another example that I have is a professor who was outlining her next course. And so, this worked out really well because she knew what the course was, and, you know, she wanted to make sure these key points were there, what tests or exams were going to happen, how was she gonna do the weekly assignments. And that was a way for her to really see this course as a whole and be able to break that down the way that she needed to. So, it's definitely very helpful. Pete: Very helpful. You know, I'm not teaching right now, but that's absolutely another context that I've used mind maps is building out courses, from marketing to PR to pop culture. I've got mind maps that explore the concept. Nikki: So, a question for you. We can go in and talk about...you know, he mentioned using paragraphs for his branches, and he also talked about organizing the mind map, or do you wanna talk about tools first before we go into that? Pete: Yeah. MindNote is on the computer. And other tools, for example, Coggle. Coggle is a very basic and quick way to bring a mind map app, coggle.it, coggleit, C-O-G-G-L-E.it. Go check out coggleit, and you can create a new mind map for free like that. It's very easy. Mindly is another one. That's one of the ones that I was talking about that has a very strange sort of interface that is really cool. They've taken a completely new approach to fixing design on the mind map with these beautiful circles, and colors, and it's bananas. So, that's Mindly. iMINDMap is another one I know. We've got some people testing MindMeister in the group that are having some fun with that. It's got a lot of wonderful tools built into it. And then MindNote is the one I use. But I'll take tell you what I have found since the last time we have done any conversation about mind mapping is that I went back to my digital note like scribble tool. And that, for me, is notability, and I have found that my mind maps are much more effective when I'm making just quick, like, mind maps that I want to be able to engage with that part of my brain where I have the very best kind of retention and integration. I want to do it by hand, and I find that more effective, and it's sure, it's messy, great. It's probably not something I'm ever going to present with. I don't wanna other people to be peeping at it before I go in and move it into mind map or into my MindNode and polish it up. But, for me, to quickly integrate new information, I just go back to doing it by hand. Do it on blank paper, have lots of colors. People think in colors. Build radially, do it manually, and, you know, I think you end up with something that will help you with retention more than starting with the digital tool. I do the digital tool this morning because I'm outlining a podcast very quickly and I know the keyboard shortcuts inside and out, and so it's easy for me to just blast one out. But, you know, when I'm really trying to learn something, yeah, I do it by hand. Nikki: Right. Yeah. Well, and again, I think that that's the great thing about these tools is that you can. You can do it by pen and paper, and then put it into a program if you wanted, you know, or go straight to the program, or just like I did with the sticky notes. I mean, there's just so many different ways to do it. So, I think it's just a matter of finding what works for you in the context of what you're working on to...you know, it makes more sense to have something that's more just on the computer, if you're sharing it with other people, you know, or whatever, but simplicity is at its best. All right, so he did mention putting a lot of paragraphs, putting a lot of words on his branches, what are your thoughts on that? Pete: My thoughts are, please don't do that. You know, for a number of reasons, health and sanity mostly. Like, you can't write as fast as you need to digest information, and mind maps are not designed for that. They're just not designed for that. And I think that we get spoiled by digital tools. God, I can't believe I'm the one who's saying this. I think we get spoiled by digital tools because we copy and paste text and create a mind map that's more of a knowledge resource, which is fine for whatever it is. But if you're trying to learn something, you are better served by coming up with the keyword that attaches to your brain. What is the keyword that is most meaningful for you, right? It needs to be meaningful for you to make that connection to stuff you already know. 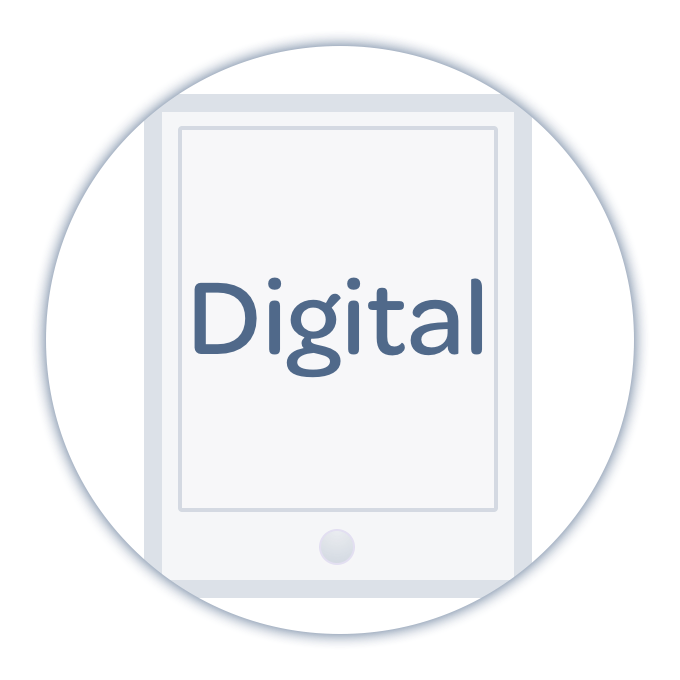 I think the digital tool, starting with a digital tool, it obfuscates the learning process that mind maps were intended to cultivate. So, our brains work in very short phrases, keywords, colors, short, short, short. Connect ideas, don't connect whole paragraphs. You're not going to remember a whole paragraph. Nikki: Yeah, yeah, absolutely. Well, and I think it's practicing too. I mean, if this isn't working for you, which I don't know if it is or isn't, I'm assuming that it probably doesn't if he's asking the question, but, you know, try it with less and see if you like that better. Experiment, you know, trial and error. I think, you know, there isn't any right or wrong way to do this. You just have to make it work for you, so definitely keep trying. Pete: You're managing the brain. And it allows you to explore, you know, your memory, your retention, your integration through all your different sort of intelligences, as Tony Buzan calls them, your multiple intelligences, in physical, mental, emotional, sensate, oral, right, what you hear. All of those different things can be attached here if you just focus on coming up with keywords that identify what you're trying to connect to. It's really powerful stuff. Nikki: So, what is your thoughts on the organization? Like, you know, how do you decide what the branches subcategory is gonna be? I mean, just curious because he said that it seems like it's disorganized. So, what do you think about that? Pete: Well, I don't give that as...I'm not stressed about that as much as I think some...especially in the beginning, right? When you first are approaching a book, you'll know, I feel like at least with a little bit of practice, you can start to build the muscle of intuition that says, "Oh, okay. So, the things that I want to get out of this chapter are..." and you can start making those as keyword branches off of your main topic, right? And from there, you know, the topics and branches are the things that you wanna integrate into your own learning, your own understanding. You don't have to take notes on every single thing. And what you find is, as you start to document in the mind map the things that are most important to you, the connections to other things that were sort of drive-by acquaintances to that particular topic that you read in the book, they will stick too, right? They'll stick too because you've put a mile marker on your mind map that says, "Remember this thing." And you'll start remembering the orbit of important associated ideas. In this case, you know, my mind map, it starts with mind mapping. And I have one branch that says resources. And those resources are the articles that the individuals, first of all, that, let's say, Tony Buzan, the founder of mind mapping, he's one branch off of resources. And then I have a number of branches off of that that show me the different videos and articles that he's written that support mind mapping. And so, you just sort of drill down, and it can start to feel like an outline first. And that's because we're familiar with outlines. And from there, you realize, "Oh, wow, my creative juices are flowing, and I'm gonna start really exploring other keywords and things that I wanna ingest from this piece of material." And let yourself do it. It's a creative exercise. Let yourself be creative, not just a documentarian. Nikki: Yeah, let it be messy. If you need to take stuff out, or you need to add stuff, or you need to move things, you know, do it. It's okay. Because this is for you, it is for you. So, you got to find something that's gonna work for you and how you're gonna remember and retain the information. So if it's too broad, then make it more specific. If it's too specific, then make it more broad. Like, just keep experimenting with it. Nikki: Yeah. I think it's great. Pete: It's a fun topic to explore and a good reminder, you know, even for me as we go through this process as somebody who mind maps pretty regularly. It's a good reminder of, you know, when I let my things get out of hand, my nodes get out of hand, it's good to be able to go back and flush those out. Pete: So, thank you, everybody, for downloading and listening to this week's show. We sure appreciate your time and your attention. On behalf of Nikki Kinzer and all of our fantastic guests who wrote in with questions, we sure appreciate your time and attention. 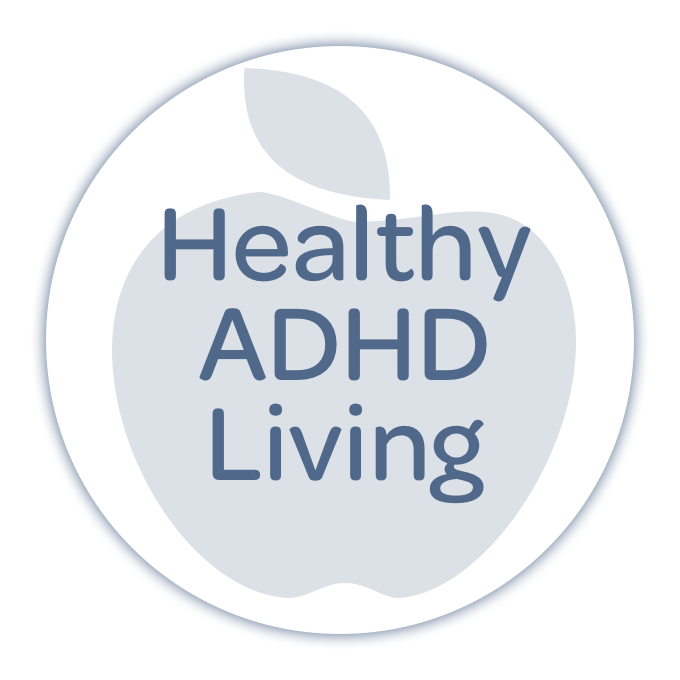 We'll catch you next week right here on "Taking Control: The ADHD Podcast." Newer Post384: What's a Growth Mindset?